Rules are defined by one or several networks. A network can be a IP address (10.10.10.1 ) or a subnet ( 10.10.10.0/24) . 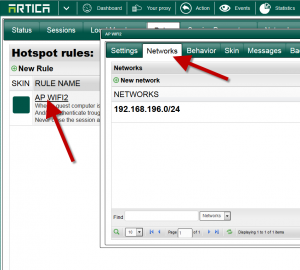 When a guest computer is connected to the HotSpot, Artica will try to retrieve the rule according the computer network. All HotSpot settings and behavior are defined inside a rule. In this case you can define how guest can be logged and what are the account policy based on IP addresses. The first task is to create a rule. 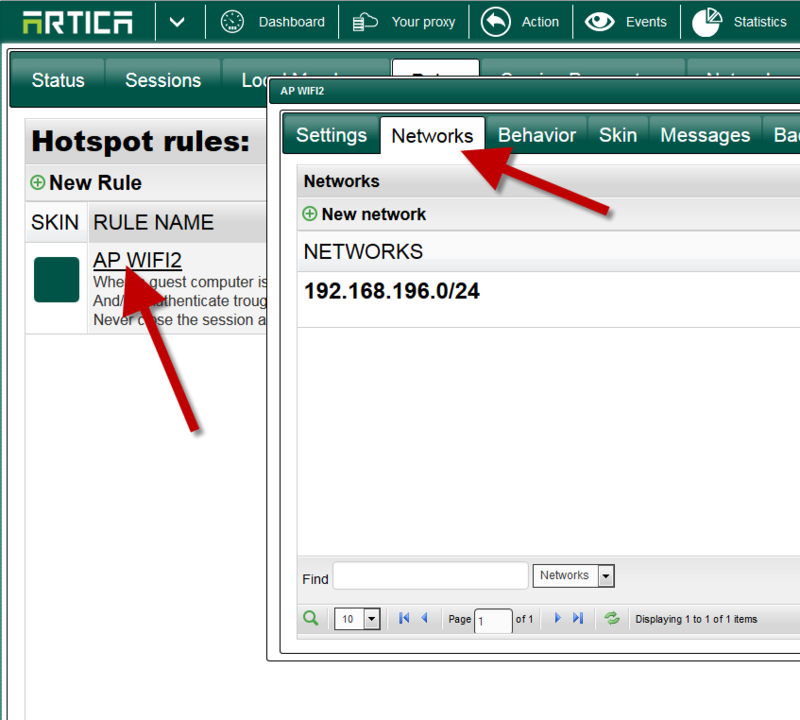 You can see in the table that the rule is explained and the SKIN column shows you the background color of the HotSpot web page. Add networks you want this rule to handle. Now with this first rule, you can define the HotSpot behavior.